There are some breeders who want a stallion to have a strong performance record and there is no better record than an International Grand Prix track record. 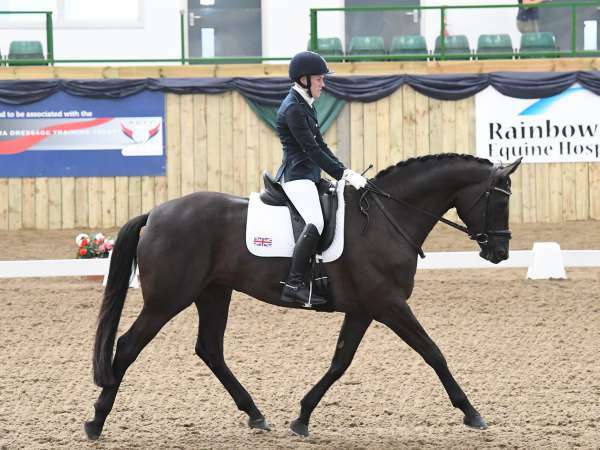 The Trakehner stallion Garuda K between 2013 and 2014 progressed from his international small tour debut at Drachten (placed 4th) through to a run of Grand Prix and Grand Prix Special results. Nationally he was Vice Regional Champion at Inter 1 and at PSG Freestyle, won at Premier League shows, and qualified for the Nationals from Advanced Medium through to Grand Prix. He was also 3rd at two Winter Championship Finals at PSG and Inter 1. 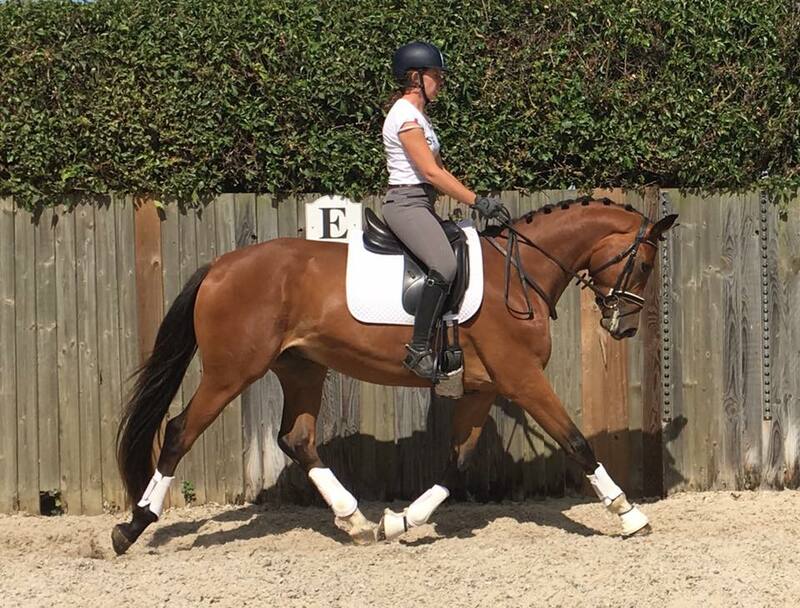 Most recently the young paradressage rider Laura Gulliver has taken over the ride on the striking chestnut stallion, who is also the sire of her other top ride Woodcroft Natalia. 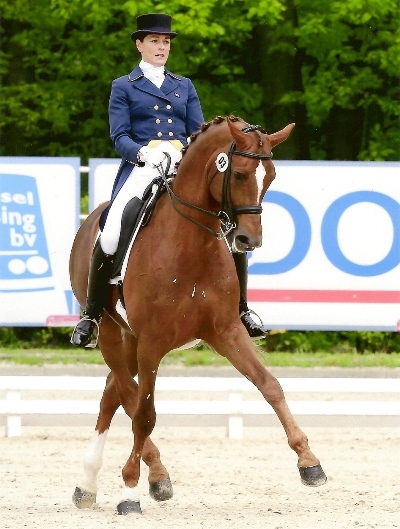 In addition to being licensed with the Trakehner Verband in Germany he is also licensed with the Westfalian Verband and was Reserve Champion of the Warmblood Breeders Society Grading. Garudas Diamond Dakota ( x Flagmount Diamond) Winner 4 out 5 BD Prelims. Woodcroft Hirtentanzerin ( x Tambour) , qualified for the BD Regionals at Elementary and winning Medium. 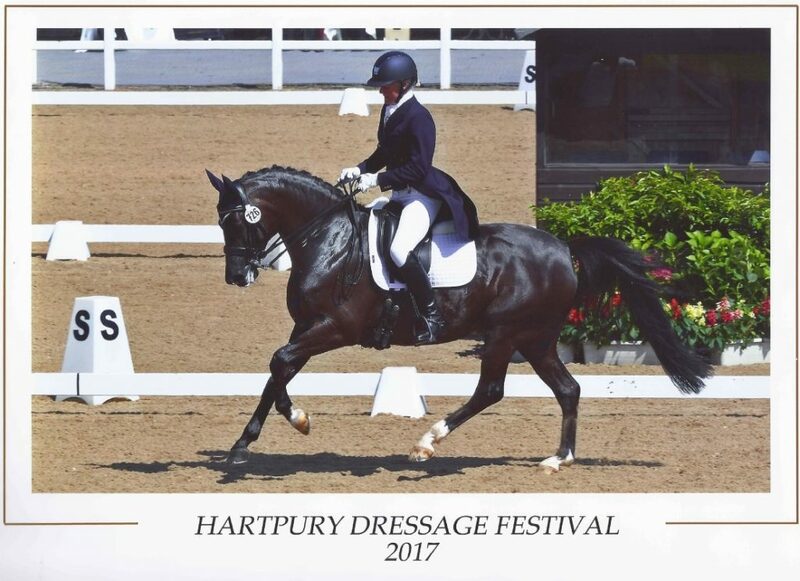 Woodcroft Oscar ( x Arrak) Winning BD Prelim as a 4 year old, Trakehner Youngstock Champion. The pedigree of Garuda K is studded with Elite stallions and mares. 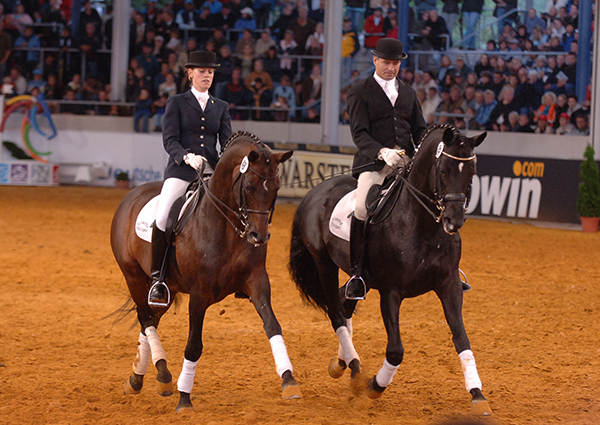 His sire Munchhausen was the 2011 Trakehner Stallion of the Year. 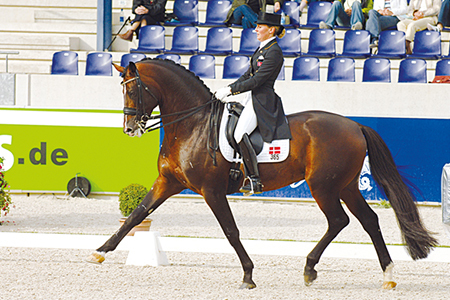 He started his career by being crowned the Champion of his licensing in 1997 and then headed the dressage section of his performance test in Neustadt-Dosse. When he started his competition career, he qualified for the Bundeschampionate on many occasions and was the Silver Medalist at the Young Horse World Championships. He progressed via the prestigious Nuernberger Burgpokal Finals to Grand Prix , was part of the bronze medal winning Danish team at the European Championships and won many Grand Prix competitions. Although he was concentrating on a career in sport he still managed to sire 7 approved sons, including Sambatanzer and Meraldik, and Grand Prix performers such as Santurion de Massa, Herbstfee and Moncassado. 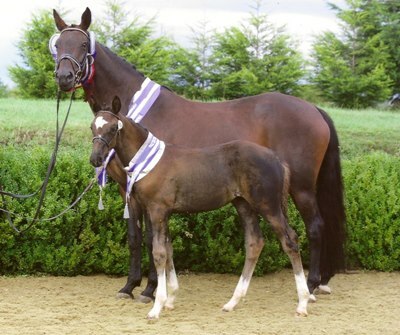 Munchhausen is a son of the famous Hohenstein, sire of His Highness, Insterberg TSF and was 2002 Trakehner Stallion of the Year. 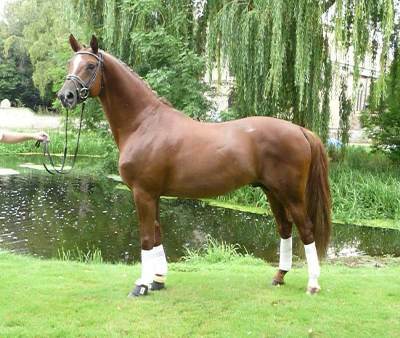 Garuda K’s damsire is the Elite stallion Angard, who also competed to Grand Prix. His great grand dam Gletschersonne was a half Thoroughbred mare and from this very small mare line also comes the M level performer Guayana.